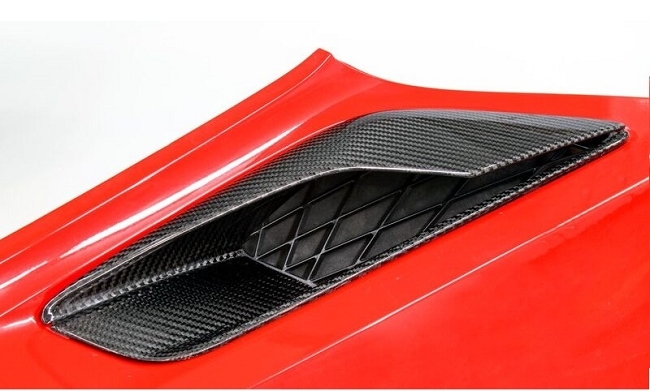 Available in regular 2x2 twill or GM O.E matching carbon weave. 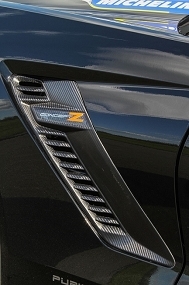 Based on the design of the production Z06 ducts, these aerodynamically optimized accessories enable a 50-percent increase in airflow over the Stingray air ducts. 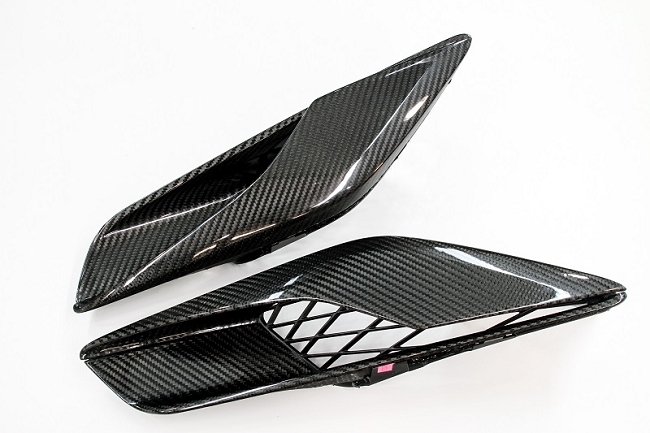 They are ideal for owners who want to improve the cooling capability for the differential and transmission especially for track duty and they add visual distinction with the premium appearance of authentic carbon fiber. 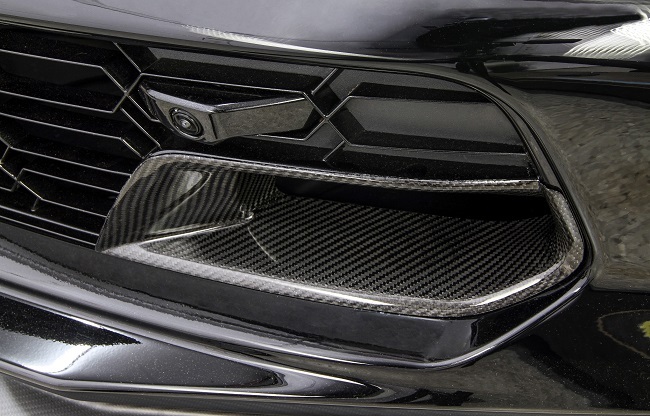 The ducts are made of high-quality, lightweight 3K twill carbon fiber material matching the production GM specs, along with vinyl ester-infused resin, for exceptional strength and appearance characteristics. Each bezel comes with an insert screen for a more complete factory look. Each is hand-polished for a deep, rich luster and comes with the factory mesh screen bonded to it. 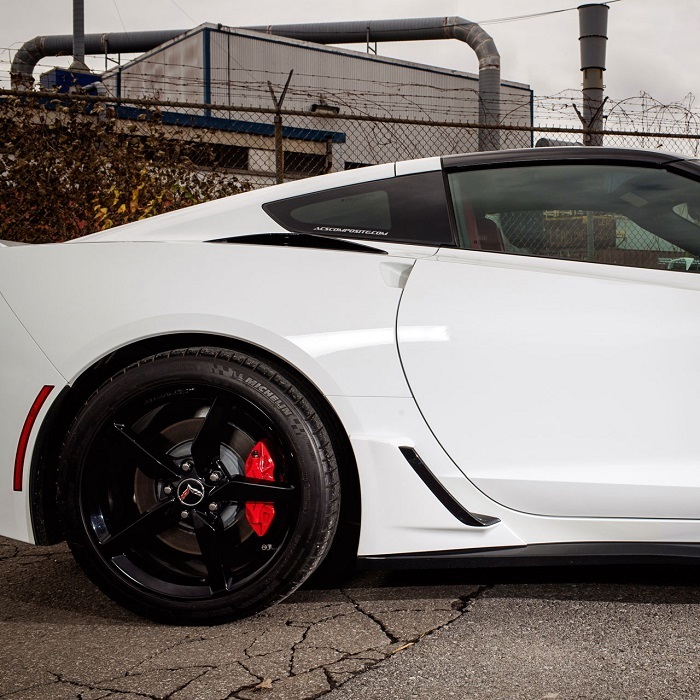 The rear quarter ducts attach to the Corvette Stingray and Z06 rear quarters using the same mounting locations and hardware as the originals. 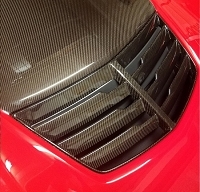 Suggestion: Since this is not next to a GM Factory carbon piece , its not necessary to order with tinted resin.